Massive Multiplayer Online Games (MMOG) allows a large number of players to cooperate, compete and interact meaningfully in the online environment. Gamers are able to form social network with fellow gamers and create a unique virtual community. Although research has discussed the importance of social interaction in MMOG, it fails to articulate how social interaction takes place in the game. The current chapter aims to depict how gamers interact and socialize with each other in a popular MMOG, World of Warcraft. 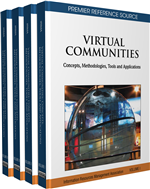 Through virtual ethnography, specific interaction patterns and communication behaviors within the community are discussed. It is concluded that the types of social interaction taken place in the gaming world is influenced by the temporal and spatial factors of the game as well as the game mechanisms.